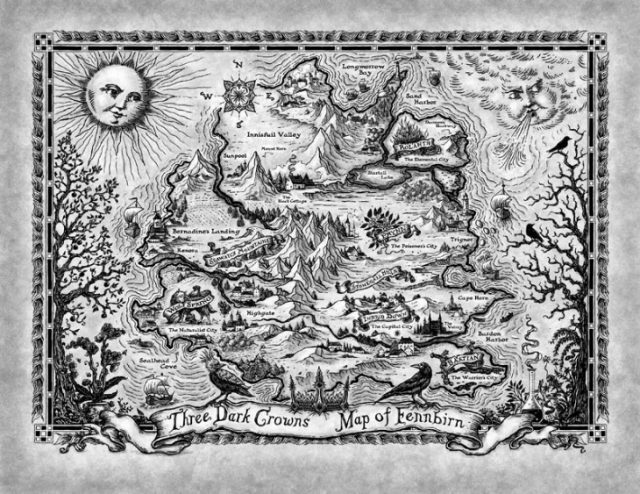 In a world of Young Adult fantasy novels that promise us something different and then end up delivering us something familiar, Kendare Blake’s Three Dark Crowns does the opposite. Does it play into some of today’s biggest tropes? Yes, at times it does, but Blake isn’t afraid to give us what she promises. The summary of the novel proclaims that you will see three Princesses, who are actually triplets, fight for their rite to rule as Queen. Only one can survive, while the other two must die at the strongest sister’s hand. Talk about sibling rivalry why don’t you. While other novels might diverge from the end goal of the story, Three Dark Crowns never wavers in its need for dark twists, and a direction that leads you to believe that once this series is complete, there might actually be royal blood shed, and that it won’t be of the sacrificial sort. The story itself is well fleshed out. Blake give us three interwoven tales as she sheds light on each of the Princess’s lives. In this case, I think that multiple points of view work for the storytelling process. It’s interesting to get to know Mirabella, Katherine, and Arsinoe in their own little worlds. Blake makes sure that we see what each character is really like, and takes her time to explain each of the Princess’s gifts. Mirabella is a fierce elemental, while Katherine is a poisoner, and Arsinoe is a naturalist. All three are said to have extreme powers, perfect for fighting each other to the death. The only problem is, Katherine and Arsinoe’s gifts are lacking at best. But that’s not the only drama happening between the pages. Blake also gives us complicated secondary characters who add to the foreboding feel of the novel. Characters who would do anything, and be a part of anything, just to make sure that their Princess is the one who comes out as the victor and Queen. Maids, lovers, potential lovers, best friends; they all clash over who should be the rightful ruler of Fennbirn. Perhaps the only place where I felt the story could have differed is in some of the romantic entanglements, but even those had their place in the end. Blake knows how to write a well rounded story, and pretty much every detail that she plopped into Three Dark Crowns had a reason to be there. This also leads me to think that there are things in this novel that will make more sense as the series continues. 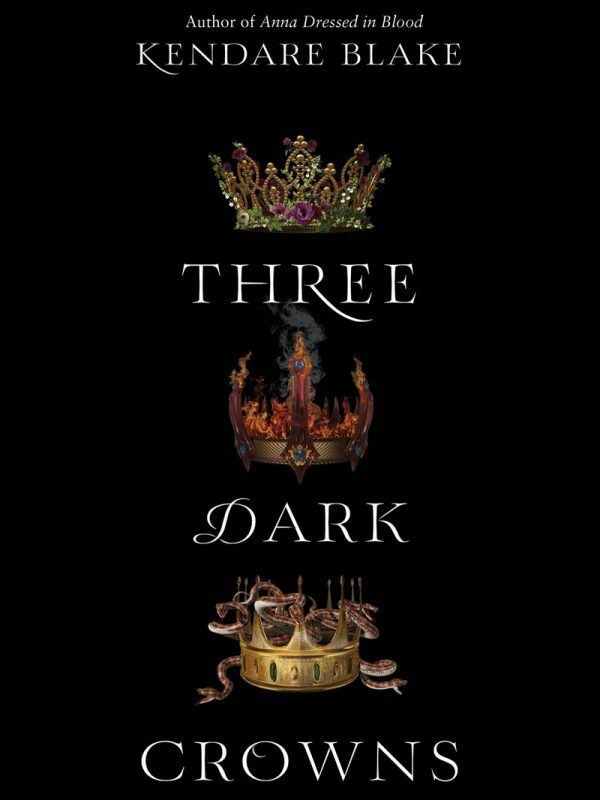 If you’re looking for a fantasy with fantastic world building, messy intentions, the promise of horrific deaths, and a convoluted story line, Three Dark Crowns is the Young Adult fantasy novel you’ve been waiting for.